I've created a new video snippet for my YouTube channel – about time too I hear you say! 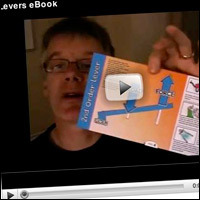 Take a look at the new Levers eBook in glorious animated action. Fantastic! Marvelous! I love how we can learn about the various mechanisms this Rob Ives way! Educational, attractive, and useful for our own automata making ability! WoW! Thanks Rob! Thanks Shelley, I've got a couple more videos lined up so keep checking back.